Nokia Lumia 920? 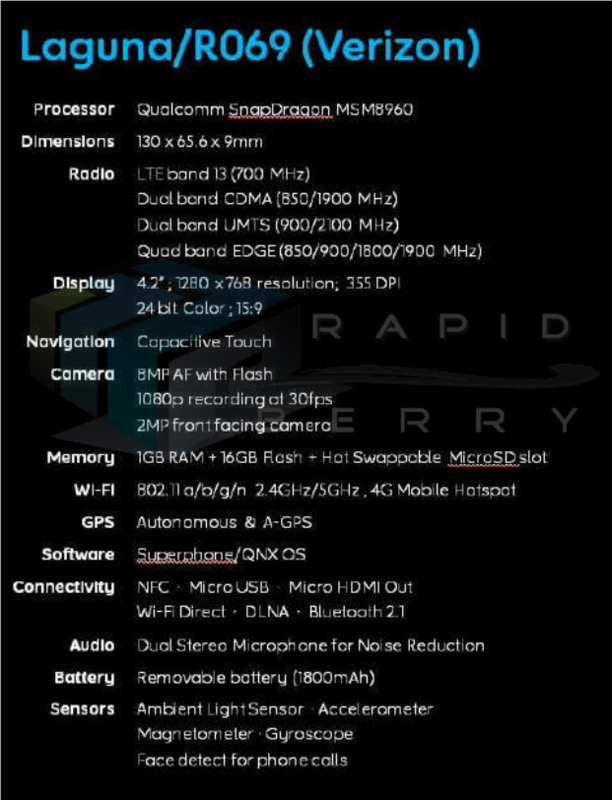 Check Out The BlackBerry 10 ‘Laguna’ Specs! One of the reasons the Nokia Lumia 920 is so hot right now is because it will be coming with a fresh new OS, Windows Phone 8, that will no doubt stand out in a market flooded with Android and iOS devices. But the Nokia Lumia 920 better take advantage of all the press it’s getting because in a few short months, RIM will be launching their revamped OS, the BlackBerry 10. As Yugatech points out, the BlackBerry 10 Laguna has the highest pixel density in this category. People are also speculating that the BlackBerry 10 Laguna may be the BlackBerry 10 Dev Alpha handset that was given to developers at the BlackBerry Jam conference earlier this year. That device, however, was running a modified BlackBerry Playbook OS and was meant only to show developers “the path to the BlackBerry 10 OS.” Still, if that device even just ends up influencing the aesthetics of the BlackBerry 10 Laguna, then RIM may have a handset that could rival upcoming top tier handsets like the Nokia Lumia 920, especially if BlackBerry 10 ends up being as good as all those early positive reviews are making it out to be. 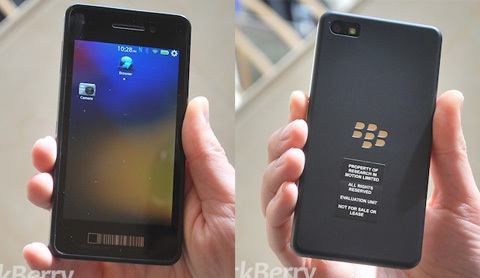 Interested in the BlackBerry 10 Laguna? What other features should RIM add to this device to make you pick it over the Nokia Lumia 920? Share your thoughts in the comments below!